If your passport is lost or stolen during your gap year travels you’ll need to replace it immediately. Be sure to report a stolen passport to the police, assemble any copies of your passport pages, contact the nearest UK embassy or consulate and notify any countries from which you were issued visas for your gap year travels. Where your passport was located when it was stolen. Any other items taken with the passport. Your passport number and date of expiry, if known. Any visas already issued in your passport, for that country or any others. 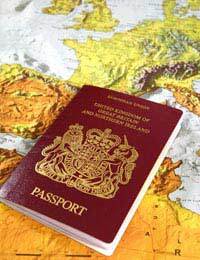 Any travel documents taken with the passport, including travel tickets. The date you entered the country and planned to leave, if applicable. All gappers should keep a copy of their passport identification page with them as they travel, stored separately from their actual passport, as well as leave a copy safely tucked away back home. If you can not locate your original passport and suspect it has been lost or stolen then assemble these copies prior to formally making a report. If you do not have such copies then at least make sure you have your passport number as well as date of issue, place/authority of issue and date of expiry if at all possible. To formally report you passport lost or stolen you will need to contact the nearest UK embassy, consulate or high commission. Staff at these offices will be well-versed in travellers who have been parted with their passports. You will need to complete and submit a Lost or Stolen (LS01) Notification form as well as a copy of the police report regarding your stolen passport. These documents will be forwarded to the Identity and Passport Service (IPS) which will officially cancel your passport. An Emergency Travel Document, a one page emergency passport, can be issued if needed to travel immediately or a replacement passport can be processed which can take up to about four weeks. You will need to prove your identity and pay associated fees in order for other documentation to be processed and issued. If your lost or stolen passport had visas in it which were pre-issued for you to enter other countries then call the embassies or consulate of those countries once you know what type of replacement travel documents you will be using. Waiting on replacement travel documents may require your gap year itinerary to change and you may need to confirm new entry dates or methods (different mode of transportation, flight number, etc) before replacement visas may be issued to you. You may also need to re-apply for visas all over again, so be ready to prove your identity and pay associated fees as required. Replacing a lost or stolen passport can be a hassle but you wouldn’t be the first traveller to run into this situation. If you believe your passport was stolen then contact the local police immediately and make a report. As soon as possible assemble copies of your passport pages, contact the nearest UK embassy or consulate and notify visa offices of other countries on your itinerary if applicable.